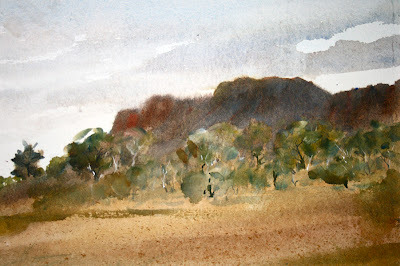 There aren't many painters or art critics who would have claimed that Namatjira was original or innovative. It's not possible, nor fair to read and comment on his painting through western eyes and standards, measures, scales and ideas about what is or is not high art. The notion of the 'noble savage' has been digested, and is long become dust. Namatjira has been the impetus for social, anthropological and ethical debate for three generations now, there are a million opinions and many, many volumes written relating to his life and relationships to his own people, europeans and the art of Australia. 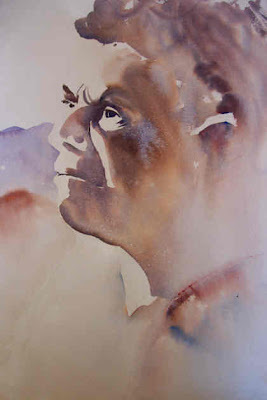 This was a fairly direct attempt at a portrait of Albert Namatjira that I did back in 2003. 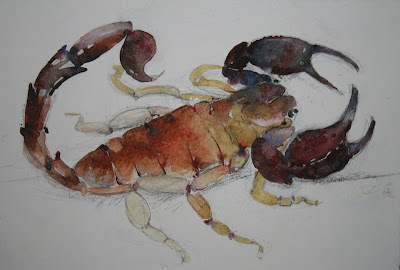 As I mentioned in the previous post; he was the first watercolourist I was introduced to as a kid. 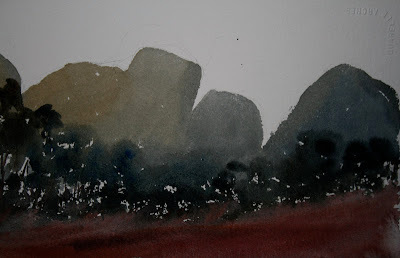 It was his watercolour landscapes of the Western MacDonnells that sparked my lifelong interest in the medium. 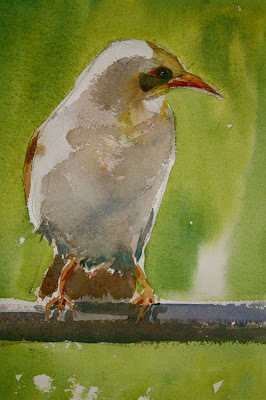 His was delicate and sensitive touch which is in keeping with the traditional art of the Arrente. He has a pretty tragic story of being missionized and introduced to grog by the white fellas and then jail for drinking related social misdemeanours. 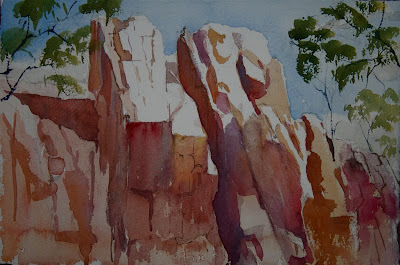 A few small watercolours from my new kitchen table studio in Alice Springs. No room for major projects here. A couple of weekends passing the time.